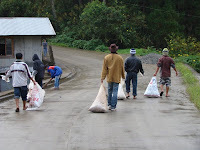 While most iSagadas are comforting their selves with a cup of coffee and watching TV in the comforts of their homes, SaGGAs boys strike again. 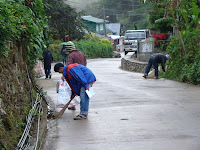 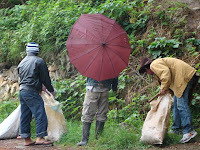 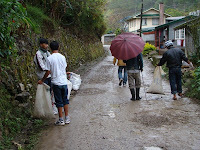 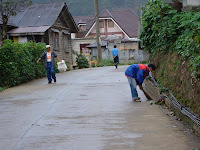 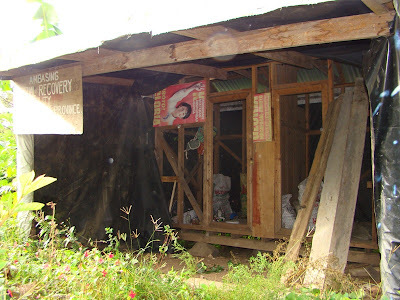 Armed with “iit” plastics, garbage sacks, thick jackets and bonnets, we swept the roads of Dagdag and Ambasing. 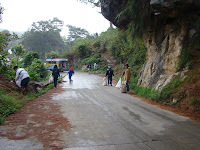 Others were designated at the road from Ambasing to the cave. 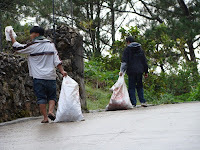 It was so funny to hear co-guides saying “Paskpasikat datusa” (show off). 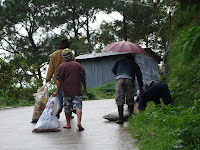 Oww well, SaGGAs boyz seem unaffected especially that the comment came from one who never joined or done this kinds of drives.